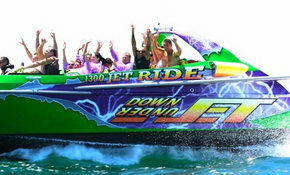 Our Jet Boat takes you on an action packed tour around Sydney Harbour. You will ride past our famous landmarks such as the Harbour Bridge, Opera House, Taronga Zoo, Luna Park, Fort Denison, Shark Island and Watsons Bay all whilst enjoying light-hearted Aussie commentary and great tunes. But our rides just aren't about the amazing views, their about sitting back, holding on and bracing yourself for a rush. At speed your Skipper will thrill you with awesome fishtails, whilst mixing it up with 270 degree spins and wave jumping. 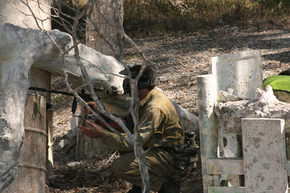 We have fantastic packages for group parties, buck/hens, sport or corporate functions. Contact the office for a quote. - Discounted rates for group bookings available. 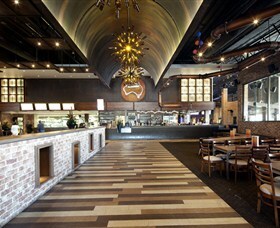 - Lunch/Dinner packages available for only $20 pp. Live band, great costumes and entertainment. 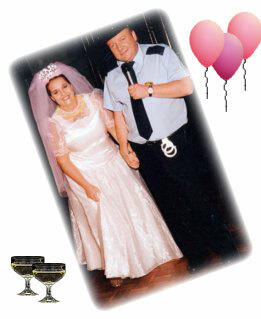 Celebrate your birthday, hens night, work Christmas party or any other occasion. Big production show. Great costumes. 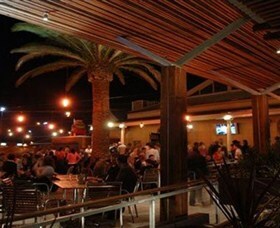 With live music performed by "The Chain Gang"
Huge dance floor with plenty of opportunities to dance. Opened in June 2005, the Hawkesbury Regional Gallery has a changing program of exhibitions and public programs for people of all ages. Public programs provide opportunities for those who want to deepen their understanding of art, meet the exhibiting artists in person and make the most of their gallery experience. Every exhibition features artist and curator talks, and there are often children's workshops, film screenings and guided tours. Exhibitions are scheduled over a two year period to offer a variety of media in visual art, craft, photography and design. The exhibition program aims to uphold the Hawkesbury's artistic and creative heritage while showcasing the new and original. Every year, at least some of the exhibitions come through Australia's extensive network of regional and public galleries All exhibitions aim to be thought-provoking, challenging and educational. 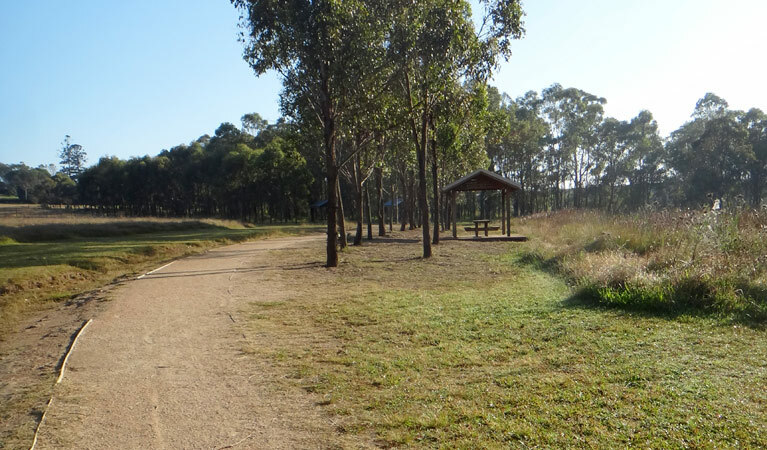 Governor Phillip Park is a historic park located at the end of George Street, Windsor, next to the Hawkesbury River. 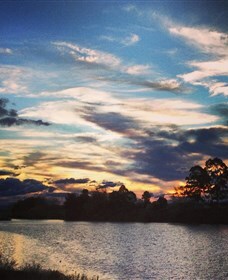 The park does have a concrete boat ramp where you can launch your boat, kayak or canoe. There's also a picnic area with tables, shelters, electric barbecues, toilets and a children's playground. Disabled access is available. 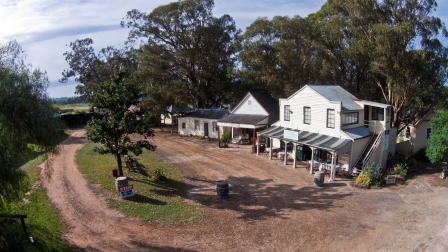 Hawkesbury Regional Museum in Windsor has a long history including a rich indigenous cultural heritage established by the Darug people, as well as a distinctive built environment dating back to the earliest days of the colony. The Museum conserves and interprets that heritage to residents and visitors, many of whom have family links to the area. The visitor experience comprises a new, purpose-built museum, and the heritage building known as Howe House. Together they form a unique cultural facility located on one of the oldest land grants in Australia. As well as a permanent exhibition on the themes of the river, land and people, the museum offers a program of changing temporary exhibitions on a wide variety of subjects. 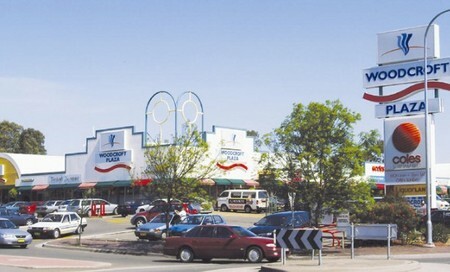 Heritage precinct walking tours are conducted by trained guides on a regular basis and the bookshop sells a large number of books on the history of the area. Travel in luxury while you discover the historic Hawkesbury with Hawkesbury Sightseeing Tours. 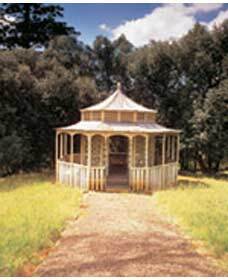 Visit places of Australian history in the Historic Hot Spots Tour. Do a Wine Tour and try Australian wine while visiting local Australian wineries. 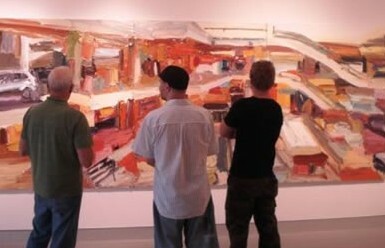 Visit world recognised Australian Artists and Gallery's. Visit the local growers, sample or pick local produce on a Farm Gate Tour. Do a lantern lit walk in the Windsor Ghost Tour. 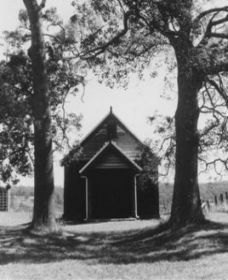 The Hawkesbury area was discovered in 1789 and settled from 1791 being the third area settled in Australia after Sydney and Parramatta. In 1810 Governor Lachlan Macquarie named the towns of Windsor, Richmond, Wilberforce, Pitt Town and Castlereagh. These towns are now known as The Five Macquarie Towns. The Hawkesbury Paddlewheeler has been operating for many years from historic Windsor, which is located at the end of the Windsor Road on one of the oldest waterways in Australia, the Hawkesbury River. Your host Ian and his friendly crew will take you on an unforgettable journey recreating cruises back in the 1800s. While enjoying the peace and tranquillity of the Hawkesbury River you can indulge in a first class meal, always being freshly prepared on board. 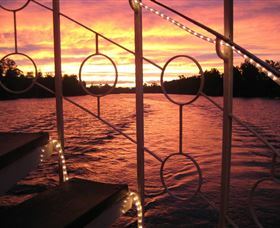 The Paddlewheeler is the perfect venue for any occasion. Catering for weddings, dinner cruises, corporate functions, private functions, birthday parties, anniversaries, hen's nights, Christmas parties, engagements, yulefest, Christmas in July, seniors lunches and more. 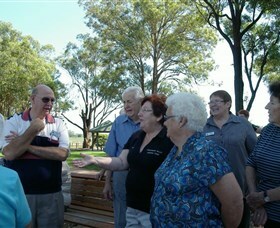 Hawkesbury Valley Heritage Tours is a family business, run by Carol Roberts and her husband Geoff. Hawkesbury Valley Heritage Tours offer a guide service for coach groups and visitors to the historic towns of the Hawkesbury and surrounding districts. 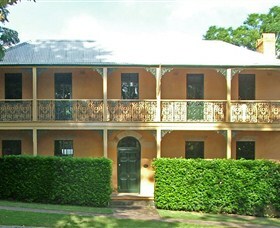 Visit historic buildings and artistic sites whilst enjoying views of the Blue Mountains and the Hawkesbury river. Morning teas and lunches can be pre-arranged and tours can be tailored from an hour to a full day. 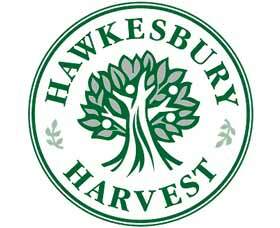 Together, they are members of Hawkesbury Historical Society, the Friends of the Hawkesbury Art Community and Regional Gallery and Kurrajong-Comleroy Historical Society, as well as the National Trust, Historic Houses Trust and National Gallery. 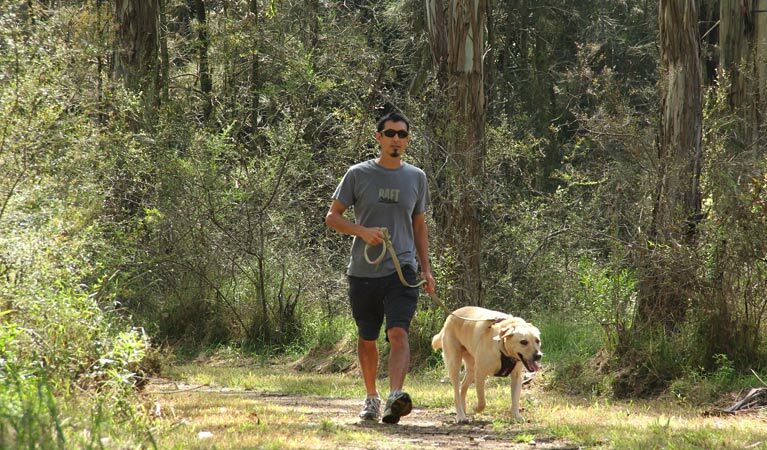 Within Howe Park you'll find a two kilometre footpath meandering along The Terrace with the majestic Hawkesbury River on the other side. This pathway offers an easy, levelled walk (with prams or wheelchairs) and gives you a lovely view of the river with plenty of lush green grass to picnic in, there's also benches along the way. You'll also catch views across the river of the sandy beach in Macquarie Park. On the corner of Kable Street and The Terrace there is a parking lot where you can leave your car. There are public toilets there also. 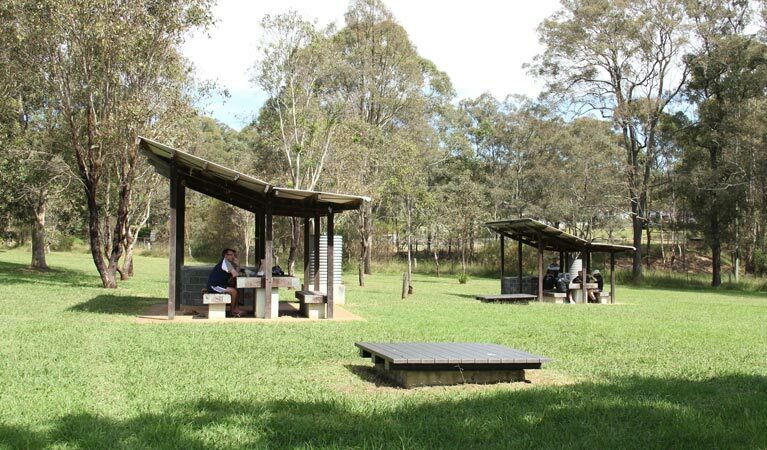 Walk across the road into Howe Park, and there you'll find the viewing platform and leafy shaded picnic tables and benches. 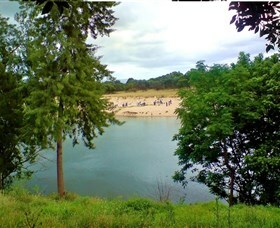 A great spot to bring a picnic and enjoy the peaceful atmosphere. The heritage charm of Windsor can be fully explored on the heritage walk of the town. Windsor emerged along the banks of the Hawkesbury River and became the third settlement of the Colony in 1794. Originally called Green Hills, Windsor was officially named in 1810 by Governor Macquarie after the town in England. 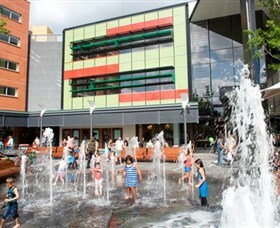 The five Macquarie Towns are Windsor, Richmond, Willberforce, Pitt Town and Castlereagh. Windsor is famous for its many heritage buildings with some being designed by the convict architect Sir Francis Greenway, for example St Matthews Anglican Church, and The Windsor Courthouse. 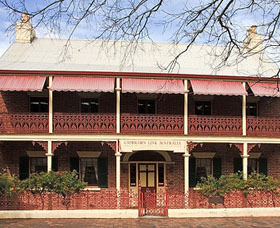 The walk highlights the picturesque colonial town and the State Heritage Registered buildings on North Street. Don't forget to pick up a map from the Visitor Information Centre so that you can take a stroll and step back in time. 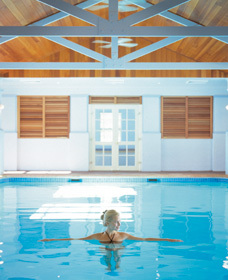 A world class hydrotherapy spa featuring the superb Thalgo Cosmetic range of beauty and health products. 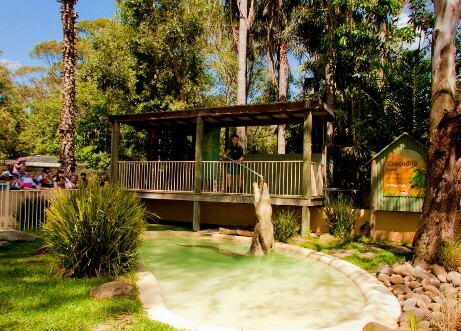 Villa Thalgo is a day spa in total harmony with nature. Villa Thalgo boasts eight treatment rooms, three wet rooms, exquisite couple's room complete with double jacuzzi and two state of the art hydrotone spas. All treatment rooms are fully equipped with the latest in spa technology. Relax and soothe away the cares of a busy life, whilst enjoying the ultimate pampering experience - from the conventional to the new age from professionally trained Thalgo Therapists. 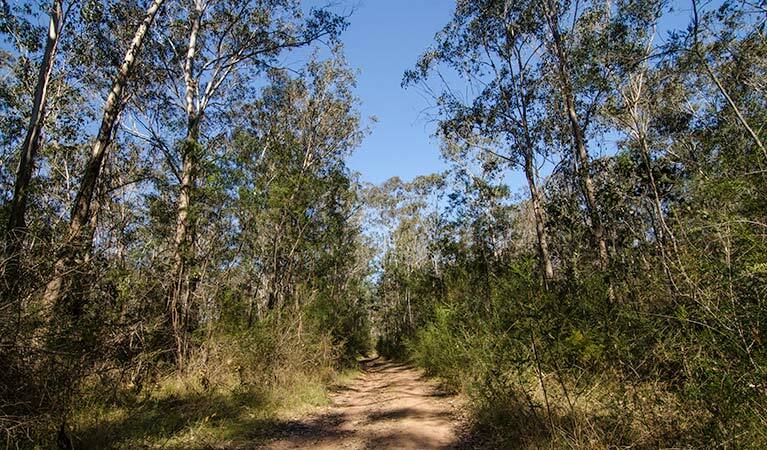 Drive the Hawkesbury Harvest Farm Gate Trail and discover Sydney's rural treasures! If you love country touring, sampling fresh, seasonal produce and discovering locally made arts and crafts, then the Trail is bound to please. Whether for a day, a weekend or longer, visitors will enjoy this country experience on Sydney's doorstep. On the trail are growers, artists, crafts people, historical sites, wineries, restaurants and unique accommodation all committed to providing consumers with access to the best that Sydney can produce. 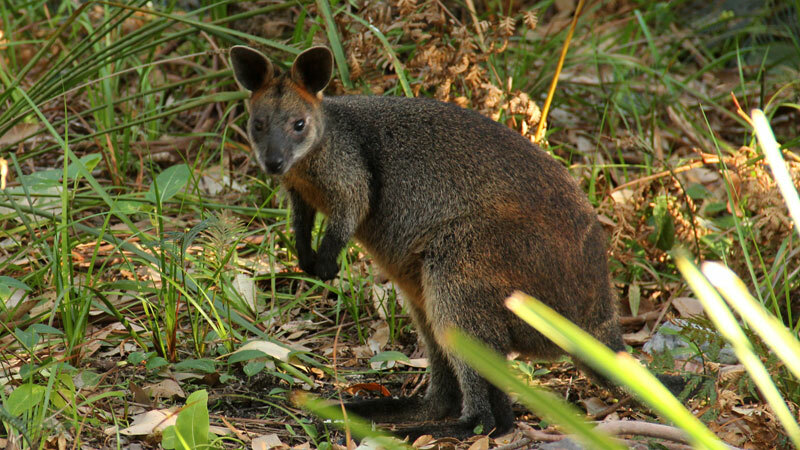 Discover a gourmet goat cheese or Australian native foods. Taste local wines or just-picked oranges and apples, why not pick-your-own? The Farm Gate Trail offers you the chance to taste, buy and learn as you explore Sydney's rural heartlands. To start planning your journey of discovery simply request a map via the website, or download one of your own - you can also find them in Visitor Centres.